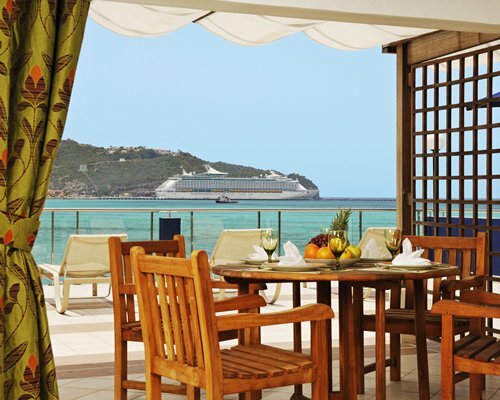 All-inclusive packages vary, based upon the resort's range of services and amenities. 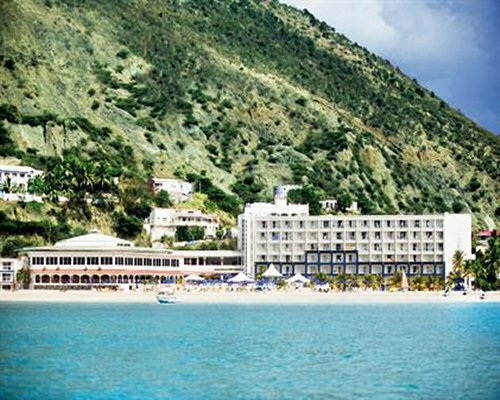 This resort requires that all guests purchase the all-inclusive package for the full duration of their stay. 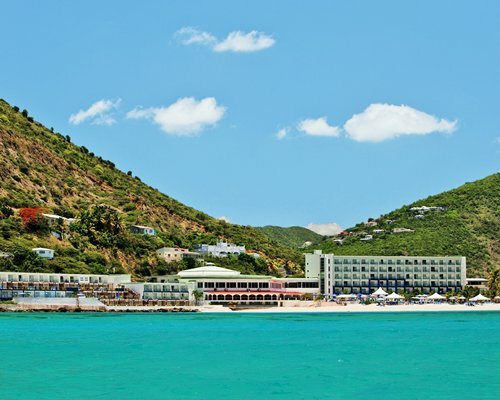 Escape to an all-inclusive beachfront oasis overlooking the beautiful Great Bay Harbor. Here, spectacular views include nearly a mile of white, sandy beach. 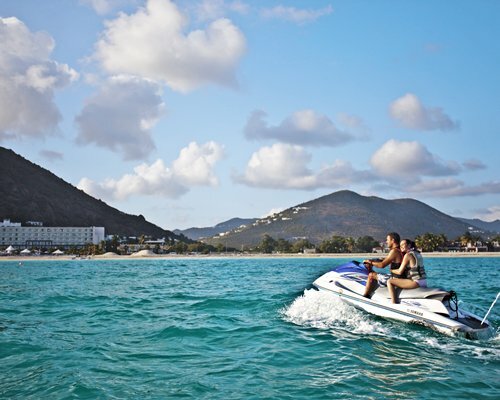 Stay active with a great selection of non-motorized water sports as well as a fitness center, and whenever you wish, enjoy food and drink for one low all-inclusive fee per person per day. Three on-site restaurants exude understated style and warm, professional service. Also during your stay, enjoy cocktails at your choice of 4 bars and gaming excitement at the casino. 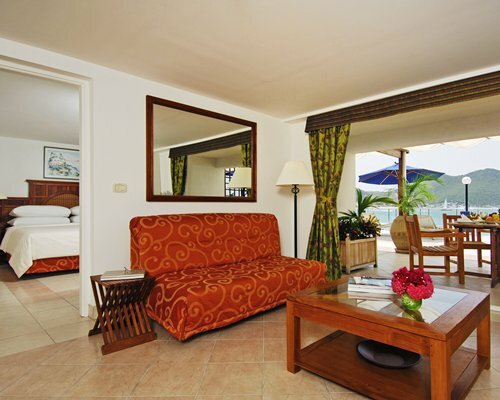 Begin and end each day in elegant Caribbean style complemented by teakwood furniture and brilliant island prints. 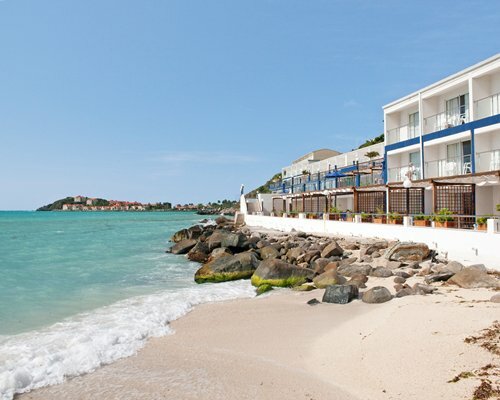 All hotel units are air-conditioned and include 1 king bed or 2 full-size beds, satellite TV and telephone. There are no kitchen facilities but units do include an ironing board, hair dryer, a coffee maker, a safety deposit box and WiFi access. 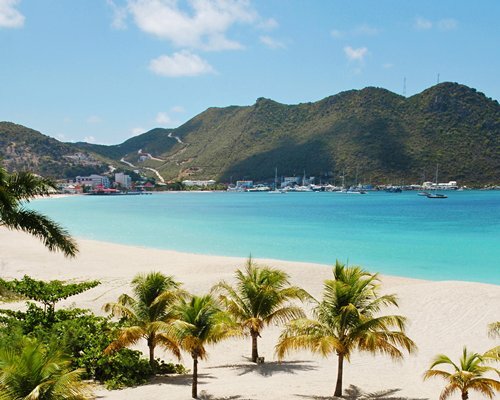 A short 10-minute walk from the resort leads to Philipsburg, the capital of Dutch St. Maarten. Here, the waterfront offers a host of duty-free shops, cafés, restaurants, and nightclubs. The quaint downtown also offers rich examples of traditional West Indian and colonial architecture. Queen Julianna airport is located 8 miles away. It is recommended that you take a taxi to the resort.